Set in the very heart of Sofia, Crosspoint Sofia Hostel is just about 5-10 mins away from Alexander Nevsky Cathedral and even less from the National Theatre Ivan Vazov. Free Wi-Fi is available throughout the property. The cosy rooms feature super comfortable large beds, a seating area and hardwood floors. Bathrooms are either shared or private. 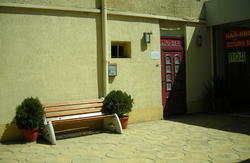 Crosspoint Sofia Hostel has a fully equipped guest kitchen with kitchenware and tea/coffee making facilities included. You can take a free walking tour with a qualified guide. An open food market, supermarkets, book stores and an open book market are just a few steps away from the hostel. The nearest metro station lies less than 300 metres away, while the central train and bus stations are 3 km from the Crosspoint Sofia Hostel. 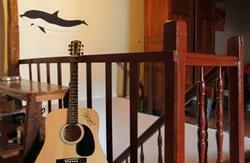 The hostel also offers surcharged airport/central railway/bus station shuttle. 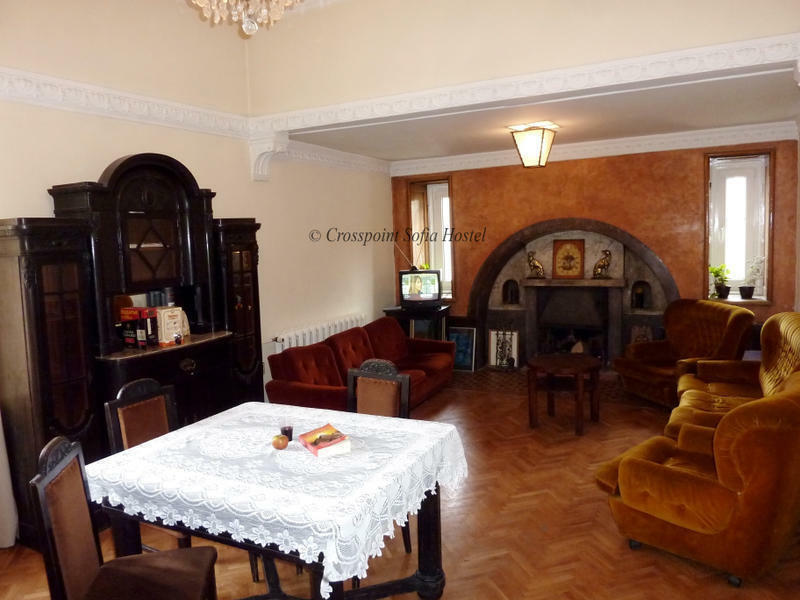 Guests can stroll down to nearby Graf Ignatiev Street, just 30 metres away, which offers plenty of shopping, cafes, and restaurants.The Sofia Central Park is reachable within a 5-minute walk. Tzar Shishman Street in the neighbourhood is famous for its artistic atmosphere and hosts street art festivals. NOTE! Crosspoint Sofia Hostel is located on the corner of Gen. Parensov St and Malyovitsa St, but our entry door is from Malyovitsa Street side! By public transport: Please take tram 12 and get off at the seventh stop which is located on Patriarch Evtimiy Sq. (The Pope Sq.) Take Vasil Levski Blvd up the corner where you will see an eyewear shop. Go straight ahead, and take the first left. This is Parensov St. Go to the intersection with Malyovitsa St. We are just a few steps away. By taxi: Beware! :) You should be careful catching a taxi waiting directly in front of the main station entrance. Anyway, always check the fares before you pick up a car. Decent taxi companies operate at rates ranging from BGN 0.70 to 0.90 per km. Tell the driver you want to go to 6 Parensov St and Malyovitsa St.
By public transport: Please take bus 84 and get off at the very last bus stop. You will recognise it by the Starbucks cafe on the left. First, pass through the underpass, direction left, and walk alongside Vasil Levski Blvd. Then take the second to the right. You will recognise it by the green Photosynthesis store. This is Parensov St. Walk for 80 more metres until you reach the corner of Parensov St and Malyovitsa St. There we are! By taxi: Most probably you will catch an OK Supertrance Taxi car from there. They operate at rates ranging from BGN 0.79 to 0.90(at night) per km. Tell the driver you want to go to 6 Parensov St and Malyovitsa St. Normally, it should not cost you more than 15lv for the ride.